I really think there must be something wrong with me! I know I’ve never been good at maths – I won’t share with you my O’level grade, but suffice to say it wasn’t anywhere near a pass – but now I don’t even seem to be able to count properly. To this end, all my crochet projects seem to grow without me noticing until I look down, see that it’s not right and then have to undo it! Sooooooo frustrating. Case in point. My granny stripe blanket. So I cast on 180 stitches – divisible by three, remember. Well I got that bit ok and after the first row of single crochet I started the granny clusters and wow – it all worked out. Plain sailing from there you might think. Think not! 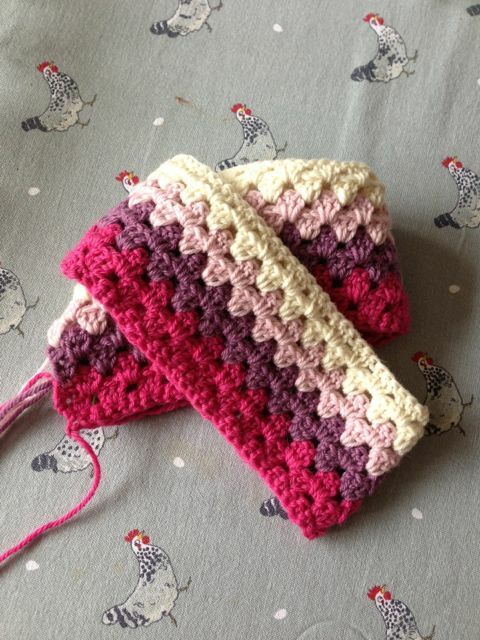 Because I wanted to break up the pattern, I decided that after the first seven rows of granny clusters I would do two rows of each colour in half double crochet – to make stripes – before going back to the original pattern. 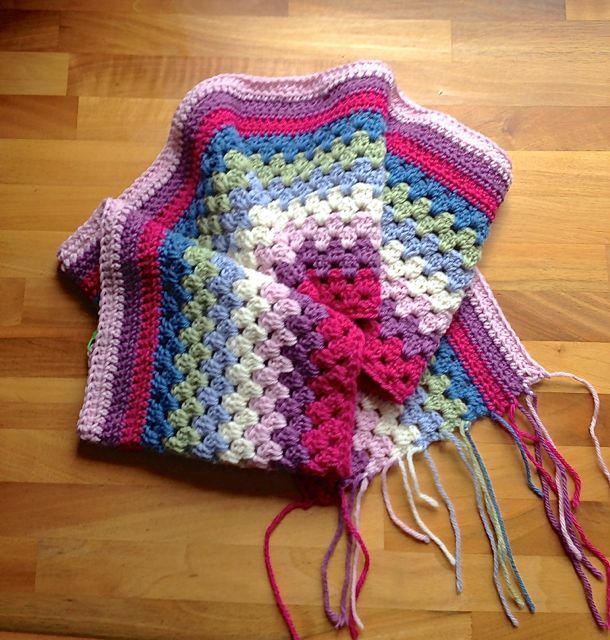 Perhaps I shouldn’t mess with other people’s patterns but I can’t help myself – always wanting to change things! So now I’ve had to undo all the stripes apart from the first pink one and start again. I’m back to 180 stitches and have inserted loads of stitch markers (where would I be without them) so this afternoon I will endeavour to re-do all the work I’ve just undone. Ahh, perfection – I won’t be happy with less! 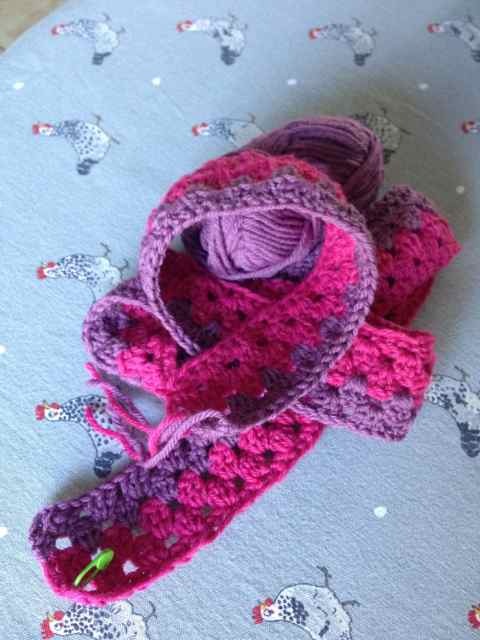 Off to do some vegetable planting now to take my mind off the crochet!!!! Hope your Bank Holiday has started out on a more positive note! Oh, what a shame. The colours are looking lovely though. It will be worth finishing.